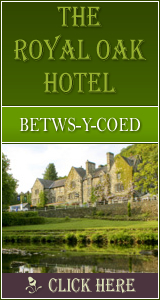 Situated in the small village of Bryn Y Maen, close to both the coast and the Snowdonia National Park, Snowdonia View commands panoramic views of the North Wales coast and country. Just minutes from Llandudno, Conwy and some of the best beaches North Wales has to offer - makes the cottage an easy choice for your perfect holiday destination! Ideal for family holidays, the farmhouse accommodation is well appointed and is able to comfortably sleep from 12 up to fifteen in six bedrooms. The bedroom lay-out is flexible - please contact us to make any specific arrangements and requests to accommodate your party. 344 Click Throughs => �172 based on an example �0.50 cost of a click through from Google pay per click. The click through ratio to this accommodation provider's own website is 27% .